Marketing for electricians is unique compared to marketing for other trades because most people only use an electrician once every seven to ten years. Because of this fact, the main focus should always be on customer acquisition rather than customer retention. We have also found that marketing to the neighbors of your clients is very important. This is because trustworthiness is the number one quality that people are looking for in an electrician. Nobody wants to hire a handyman to do their electrical work. Most people realize the danger involved with faulty electrical work and are terrified of even touching their electrical box. An electrician’s credentials, recommendations, and guarantee of safety are key selling points. A strategy we have found successful is our “hero branding” strategy. Hero branding is more successful for electricians than for the other trades. Becoming a hero in your community through charitable work or by sponsoring a little league or other sports team creates strong local brand awareness and trust. It boosts employee job satisfaction and pride because they see the work they do as benefiting not only their current customer, but the community they live in. Being proactive in your community builds a legacy that is respected and remembered, makes marketing easier, and helps you and your employees to connect with and support meaningful causes that only enhance the great service you already provide to your community. This specific approach to marketing for electricians through hero branding has lead to immense ROI. 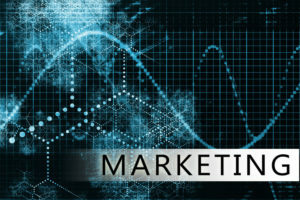 Lastly, electrician marketing is unique because of the importance of business-to-business marketing. It is normal for an electrician to get 5-7% of their leads from the other trades (plumbing, HVAC, hardware stores, real estate agents) without even trying. Can you imagine how many more leads could be generated if these business-to-business relationships were intentional? We have the tools and key strategies to help you network with the other trades to increase your referral business. Your electrical business profits will skyrocket with this simple change. One of the first things we do is number crunch with you to determine if your price points are set correctly. The average electrician suffers from the same negative self-image that other workmen do and only charge a third of what they are worth. The result is that the average ticket is only $300 when it should be $900 to $1,200. We take a look at the numbers and your customer demographics to see if raising prices makes sense. Because customer acquisition is the main focus, the number one thing we do is make sure that your employees have the proper sales training. We can put out direct mail pieces that get the phones ringing, launch awesome radio and television campaigns that create brand recognition, and foster business-to-business relationships that generate great referrals, but if your technician gets to the door and loses the sale, it was all for nothing. In the plumbing and heating trades, technicians are often selling services to customers who have previously bought from them. But electricians almost always have the added pressure of selling services to new customers. Our sales training tools help your technicians increase closing rates and average ticket costs. As we mentioned above, a good number of an electrical company’s customers come from referrals. We know how to help you build relationships with other trades, know what a fair kick-back is in your market, and even probably know of plumbing and HVAC companies in your area. The easiest customer to sell to is the customer that already likes you. Safety inspection offers, special deals on services, holiday cards, and thank you cards help keep your name in front of your customers. Your next best customer might likely be the neighbor of your current customer. They live in the same area, most likely are in the same income bracket and demographic, and are probably nosey enough to look at your truck in their neighbor’s driveway. That truck, and hopefully the yard sign, are basically as good as a word-of-mouth recommendation from the neighbor. To capitalize on this free referral, we market to the neighbors one week after the service date. Your current customer list is a gold mine of information…you just may not know it. Using your customer list and our psychographic research methods, we are able to determine what types of people are most likely to buy from you. We then identify those people in your market and specifically market to them. This makes selling your services easier for your technician and saves you money on your advertising by making it more effective. The number one advantage that electricians have is that because they are so historically under-priced they will be shocked by how much money they can make. In addition, because electrical companies are 20 years behind the curve when it comes to marketing (even internet marketing), the pay-per-click advertising in most markets is extremely under-priced. This means we can help you get ahead of the curve with little investment. Right now is an exciting time for marketing and advertising in the electrical industry. We are encouraged by the results we are seeing. To quote Mike Morosi: “What we have found is that an electrical company is a lot like a race car with flat tires and water in the gas tank. The problems are simple to fix and the potential is enormous.” Call us or contact today and let us help you get on the road to 22% net profit!